The plaintiffs said hundreds of thousands of gun owners could be affected by the registry failure and potentially turned into criminals. They are asking that Californians be allowed to register their eligible firearms without being held responsible for missing the deadline due to the registry malfunctions. "Many people, including our clients, did everything they could to comply with the law and avoid criminal liability," George Lee, an attorney for the plaintiffs, said. "They used updated web browsers, hardware, different devices, and even did internet speed tests to make sure it wasn’t a problem on their end. The DOJ’s crashed system is a reflection of their cascading failures to build a system and allow people to register their guns before July 1 if that’s what they wanted to do." "Attorney General Xavier Becerra seems to care about everything but the Constitution, the rule of law, and law-abiding California gun owners," Brandon Combs, Firearms Policy Coalition president, said. "If Becerra spent as much time doing his job as he does talking about his pet crusades against the federal government, hundreds of thousands of Californians would not be in legal jeopardy right now." 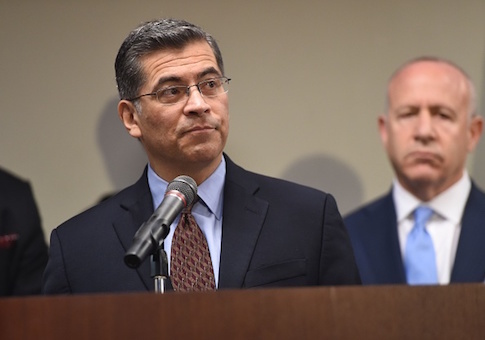 "Once again, the DOJ and Attorney General Becerra unlawfully and unconstitutionally moved the goal posts on peaceful, law-abiding gun owners," said Jonathan Jensen, vice president of the Firearms Policy Foundation. "Their failures should not result in people going to prison and losing their property." Jennifer Molina, a California DOJ spokesperson, said "the California Department of Justice has not been served" when asked for comment on the suit. Gottlieb said the defendants will be served in the near future. "A.G. Becerra, Acting Chief Orick, and DOJ will be served very soon. But, at this point, they very clearly know about it," he told the Free Beacon. "Californians who tried to register their firearms as ‘assault weapons' before July 1 but were unable to should contact the Legal Action Hotline immediately at https://www.firearmspolicy.org/hotline, hotline@fpchq.org, or by telephone at 855-252-4510(24/7/365)." UPDATE July 13, 4:08 P.M.: This piece has been updated to include comment from the California DOJ.